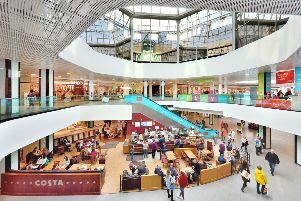 A new homewares retailer has confirmed that it will be opening for business in Livingston next month in a move that creates 22 jobs. Homesense, which is a sister brand to discount clothing retailer TK Maxx, is due to open on 18 April. It will be located at the Almondvale West Retail Park, within the existing TK Maxx operation. Homesense launched in the UK in 2008, and operates about 60 stores across the UK and two in Ireland. Homesense is part of TJX Europe which comprises the Homesense and TK Maxx brands.